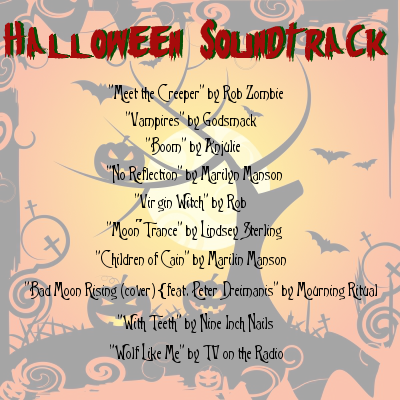 Enjoy the second Halloween Soundtrack. Less than a week to go! You'll have to see the video of "Moon Trance" to know why it deserves a spot on the scary soundtrack. Click the link below!